When art conservator Alix London spots a forgery, she knows trouble will follow. So she’s understandably apprehensive when her connoisseur’s eye spots something off about a multimillion-dollar Jackson Pollock painting at Palm Springs’s Brethwaite Museum—her current employer. Alix is already under fire, the object of a vicious online smear campaign. Now the Brethwaite’s despicable senior curator, obsessed with the “maximization of monetized eyeballs,” angrily refuses to decommission the celebrated Pollock piece. But it’s only when a hooded intruder attacks Alix in her hotel room that the real trouble begins. And when FBI Special Agent Ted Ellesworth—with whom Alix had inadvertently, but thoroughly, botched a budding relationship just a year prior—turns up to investigate the Pollock, Alix knows she’s about to have her hands full. In her third mystery, Alix London must see through mirages in the desert to uncover the knotted history of the painting—and save herself in the process. 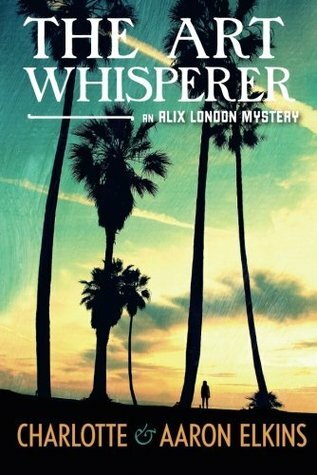 The Art Whisperer is my second Alix London mystery, although I think it would work fine as a stand-alone: recurring characters are introduced with enough background so you know who they are but not so much that it bogs down the story. Alix is doing some restoration work for a small museum in Palm Springs, but, of course, it can’t be that simple. The Pollock is probably a fake, someone’s trying to kill her, and the head curator at the museum is just a bit sleazy. First, a disclaimer – I like art mysteries. The combo of art and the people who surround it, collectors, experts, forgers with murder, theft, mayhem tends to draw me in. Add a smart female amateur sleuth, very light bit of romance and I’m hooked. The mystery this time around comes down to whose blacklist is Alix on and why? Between the smear campaign and the threat to her life, she’s obviously in somebody’s line of fire, but who. We’ve got a nice list of suspects, folks who work at the museum mostly, each with their own quirks and possible motives. And of course, it’s not surprise that I guessed wrong. The FBI Agent/love interest shows up near the end, but he doesn’t save the day. Actually he doesn’t do much for the plot itself, but I like him. Although I admit the scene at the end where they declare their feelings seemed a little cheesy and awkward. This is one of those mysteries where there’s nothing really outstanding, but it’s a fun, and quick, read. I have this on my desk for a fun, quick read. Not a reader who generally gets whodunit until the ending either. This sounds like a fun read but alas given its cheesyness its definitely one best left until I’m in the mood for a bit of cheese otherwise it will just annoy me. 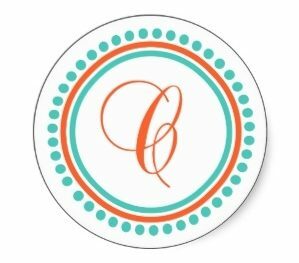 I am not a huge fan of quick easy read mysteries, as I like a plot with some substance and intrigue. However I have marked this for my ‘Want To Read’ list because it has the art world at the heart of the story and that has enough interest for me, if it isn’t dealt with too superficially. If you want to read an art mystery with a bit more substance and written by an expert in the field of art security, can I recommend ‘The Art Thief’ by Noah Charney. I read this one long before I signed up to Goodreads, so my review hasn’t been added yet, but it was certainly one of the best mystery reads for me, of recent times. Enjoy the rest of your week and keep up the good work with the exercise programme. I actually have The Art Thief at home, but haven’t gotten around to it yet. As far as art mysteries go, I also enjoyed Iain Pears Jonathan Argyll series. Fun and quick are important to me right now so this series might be a good choice for me!